Plonk is one of my favorite places to go in Missoula. It has a great vibe and wonderful combination of specialty cocktails, food, wine, and exceptional service. Brett & Shanna, the owners of Plonk, came to my opening at Glacier Sotheby’s in August and expressed interest in displaying some of my work at Plonk. I was flattered. 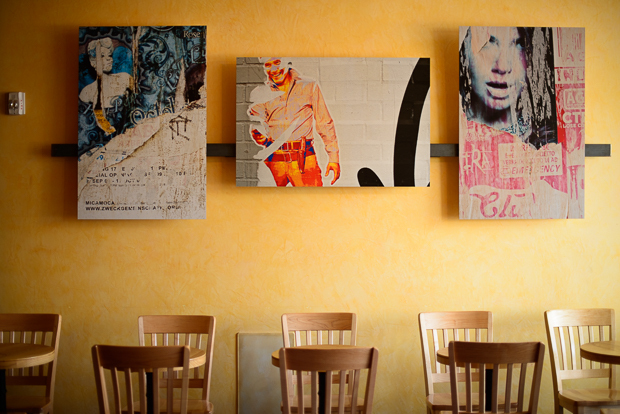 Three of the pieces from my “Urban Pop” series are now on display and can be seen as soon as you walk in the front door. For those of you in Missoula, please stop by sometime and check it out. Thanks so much to Brett & Shanna!